This week for the Pipelines ski report we're pretty stoked – it's been snowing!! OH YES – it started snowing yesterday at around 6am & it hasn't really stopped! It's been an awesome week on the mountain that saw Valley View open for 2017, Stag Lane get going in the Parks, & the first real snow storm of the season kick in, & the snow conditions are pretty great... you've gotta get up here this weekend! Please remember that as of TODAY we are at our Peak pricing for day passes. The blackout period for Saver season passes runs from July 3-21 – if you have one & you'd like to ride during the school holidays then pop into Ticket Office on the mountain, in Queenstown or Wanaka to slap a day pass onto your profile. FROTHING for school holiday snowball fights! This coming week Mountainwatch reckon we've got some wee skiffs coming through... keep an eye on our daily Snow Report for up-to-date weather conditions & facility updates. Stag Lane is OPEN! There are seven features down the Lane, with another 5m long flat bar leading into a 30m jump next door in Big Bucks. For now, Lil' Bucks is back where it was last year with another four beginner features. Watch this space for where Lil' Bucks is headed this year! Check out Cardrona Parks Crew Jack Spence vs Edwin Poulston face off in the first GoPro One Line Battle for 2017! 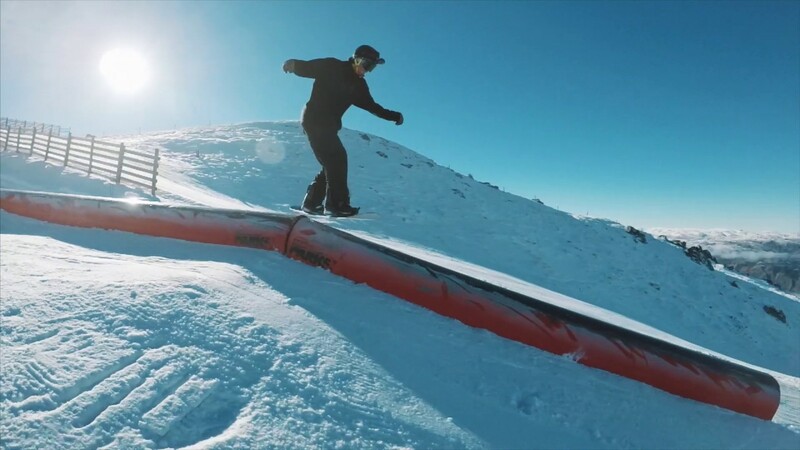 Also keep an eye out for our Burton Demo Tent at the bottom of the McDougall's Chondola – you can try out a board then buy one in the Cardrona General Store... how sweet is that!? Week 4 is going to be a LOT of fun with Aussie school holidays kicking off, some fresh snow to be found & all lifts open! What more could you ask for?